It’s the start of asparagus season here in Southern California and soon the grocery stores will be flooded with asparagus. I, for one, can’t get enough. This is a simple dish that comes together in 10 minutes tops. 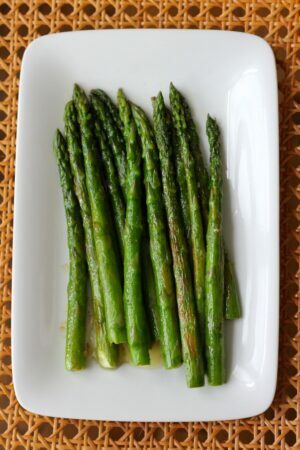 The asparagus is sautéed in a pan – caramelizing slightly. 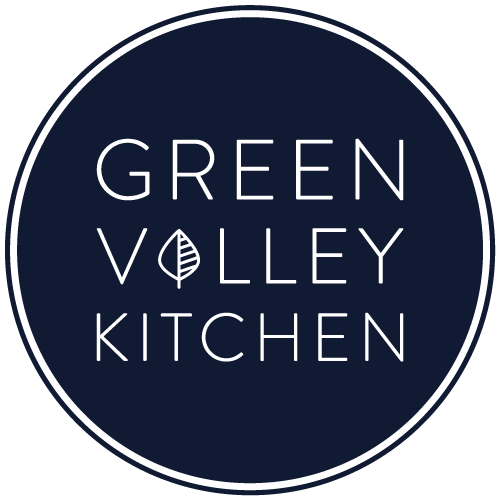 The sauce is created by adding lemon juice to the pan after the asparagus is removed – whisking the lemon and browned butter together and then drizzling over the asparagus. Simple and delicious! Lightly sauteed asparagus with a lemony butter sauce. Snap tough ends of asparagus. Wash asparagus – do not dry asparagus. Add butter to frying pan and melt over medium heat. When butter is melted and frothy – add asparagus (water should still be clinging to the stalks). Leave the heat on medium. Cover with a lid and set the time for 5 minutes. Give the pan a good shake about half way through cooking. 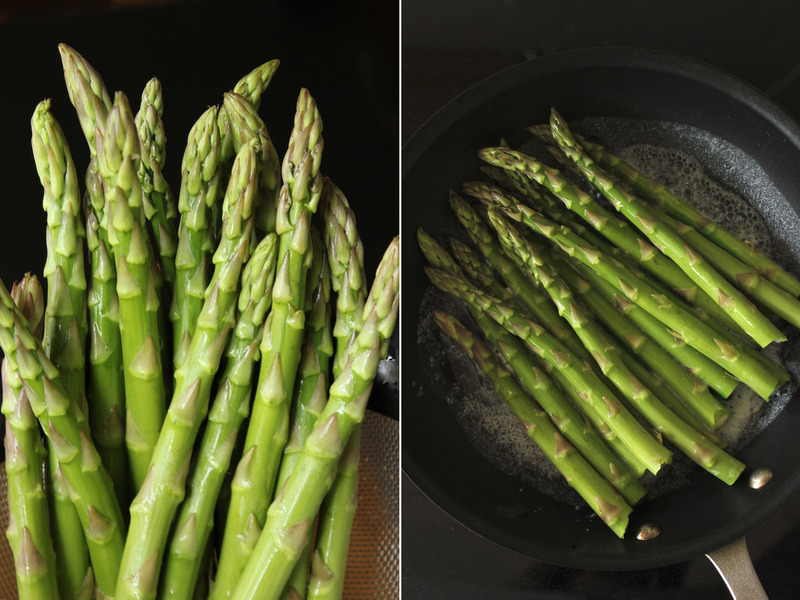 When 5 minutes is up – remove asparagus from the pan. The butter will have browned while cooking the asparagus. Add lemon to the butter in the pan. Add pepper. Whisk/stir the sauce in the pan to blend. Pour over asparagus and serve.